Norwegian shipbuilder Havyard has christened the first battery-powered ferry ordered by transportation company Fjord1. The christening ceremony for MF Husavik was held at the yard in Leirvik in Sogn on May 14. 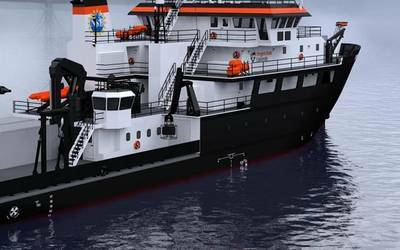 "Havyard has met some very stringent environmental requirements and won a total of 13 contracts for the delivery of both equipment for and the building of Fjord 1's battery-powered ferries," the shipbuilder said in a press statement. 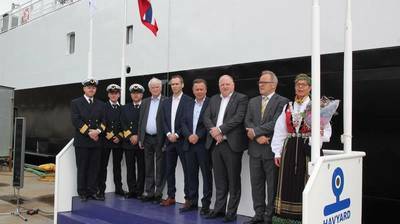 The first vessel in the series, Bnr 132 MF Husavik, was christened on Monday, May 14 during a ceremony at the yard in Leirvik in Sogn. MF Husavik will operate the Husavik–Sandvikvåg service in Hordaland county (Austevoll municipality and Fitjar municipality) and is the first of many battery-powered ferries with autocrossing functionality that will be built for Fjord 1 at Havyard Ship Technology in Leirvik. The Autocross system, developed and delivered by Norwegian Control Systems (NCS), calculates the course and speed, as well as acceleration and retardation, that results in the most efficient and economical crossing. Currents, wind and other factors are also taken into consideration. The autocross system is monitored by the captain, who can take over manual control if necessary. NCS is also delivering the integrated alarm system (IAS), the bridge solution Concept Bridge and the Power Management System. The very stringent requirements for environmental reporting of ferry operations have been implemented in the total system, which will also communicate with the onshore charging systems to ensure a safe and efficient charging cycle. The propulsion system was delivered by Norwegian Electric Systems (NES) and the delivery includes battery systems, generators, DC panels with converters, AC panels, a charging system, transformers and software. 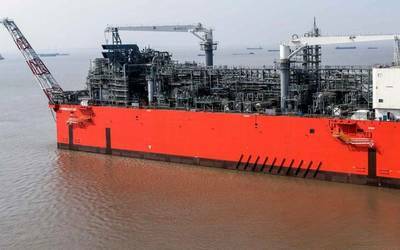 NES’s technology includes Odin’s Eye, which was designed to ensure safe and efficient energy transfer between the vessel's two DC systems. "It's an impressive ferry and we are very happy with the result," said Dagfinn Neteland, CEO of Fjord1. Representatives of Fjord1 and yard employees attended the christening ceremony. The County Mayor of Hordaland, Anne Gine Hestetun, is the ferry’s godmother. After the christening, there was an open ship event for everyone who wanted to take a closer look at the ferry. "It feels good to have started," said Lasse Stokkeland, Executive Vice President of Havyard Ship Technology AS. "The competition for these assignments was tough, and it's very motivating to witness the christening of our very first battery-powered ferry which is almost ready for delivery. "Now we will maintain full focus on delivering all the other ferries on time and on budget as well, and with the same good quality," Stokkeland said.